At Villa Maria, Occupational Therapy is a service that is available for students and is provided onsite by the staff occupational therapist. The role of the occupational therapist is to facilitate a student’s ability to participate in the full scope of activities within the school setting. This includes tasks such as the ability to perform fine motor tasks (e.g. hold a pencil, write, manage scissors, keyboard), manage school related self-care tasks, participate in physical education and recess activities, develop executive skills such as organizational/problem solving skills, and to regulate one’s behavior throughout the school day. Our occupational therapist is available to provide a number of valuable services such as direct one-to-one therapy, direct group therapy, parent and educational staff consultations, and in classroom therapy. In addition, training workshops are provided to Villa Maria staff and parents. An OT newsletter is emailed to parents, on a monthly basis, providing information on pertinent school related topics as well as recommendations for activities to do at home that support a student’s academic programs. Villa Maria’s occupational therapy program is committed to providing state of the art therapy which includes access to sensory integration suspended equipment, and a private office to conduct screenings, fine motor/handwriting therapy as well as other therapies that require a non distractible setting. Some of the special programs offered include: Therapeutic Listening, Interactive Metronome, executive skills training and a variety of computer based programs aimed at improving memory, attention, processing speed and problem solving. 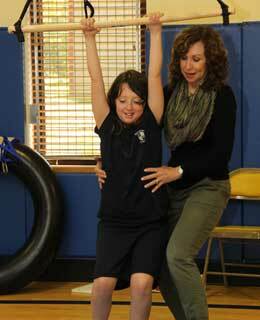 Occupational Therapy at Villa Maria is not included in your child’s tuition . Our staff occupational therapist, Kathy Mak, is now accepting a number of insurance plans to make the service more affordable and accessible to our students . In addition ,she is able to set up contracts at a competitive rate with school districts that place students at Villa Maria.